Preheat oven to 350°F. 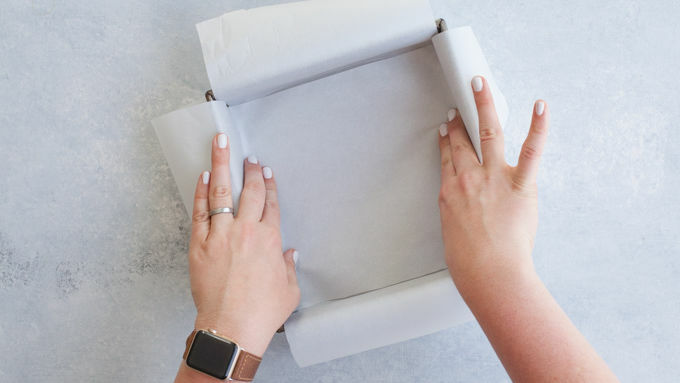 Layer an 8x8-inch square baking dish with parchment paper, letting the paper hang over the sides. Set aside. 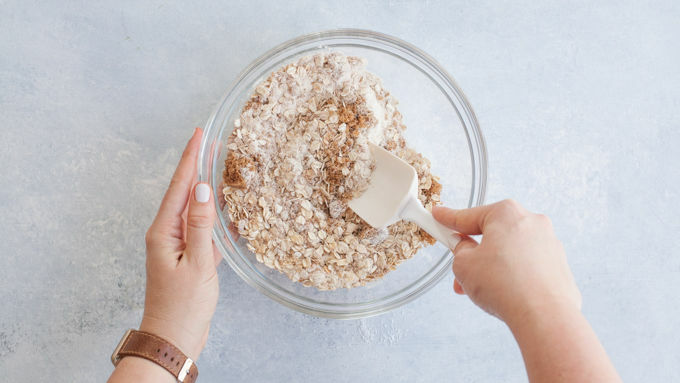 Begin with the oat layer by combining the oats, flour, baking soda, salt, cinnamon and sugar in a medium-size mixing bowl. 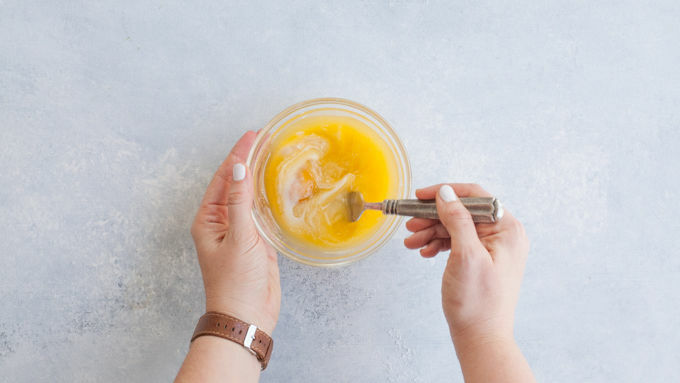 In a separate small mixing bowl, whisk together the egg, melted butter and milk. Add egg mixture to oat mixture, and stir until well combined. Transfer 1/2 cup of the oat mixture to a small bowl, and set aside. 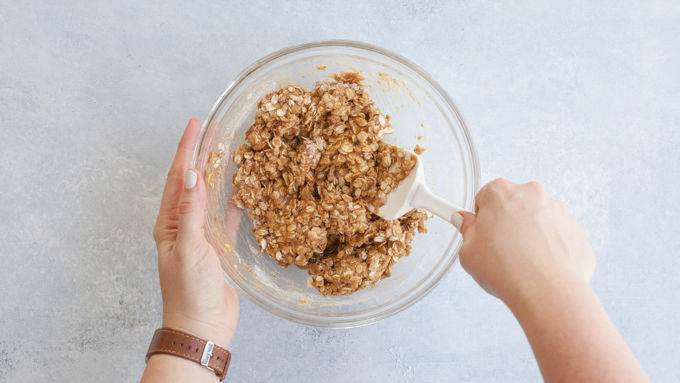 Place the remaining oat mixture into the prepared baking dish, and press down to make a solid crust. Set aside. 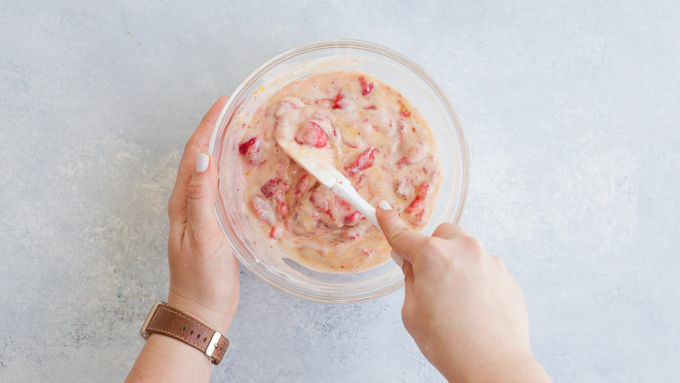 Make the strawberry-yogurt layer by combining the strawberries, yogurt, egg, and flour in a medium-size mixing bowl. Stir until well combined. Pour the yogurt mixture over the oat base and spread into one even layer. Sprinkle the reserved oat layer on top evenly. Bake in preheated oven for 30-35 minutes, or until the yogurt layer is set and the oat layer is golden brown. Let cool completely, then lift from the pan using the parchment paper overhang. Slice into eight bars. If you happen to own a pastry roller, it’s the best tool for the job of getting the oat base nice and packed down. If you don’t, pressing down firmly with the flat bottom of a metal measuring cup works well, too. 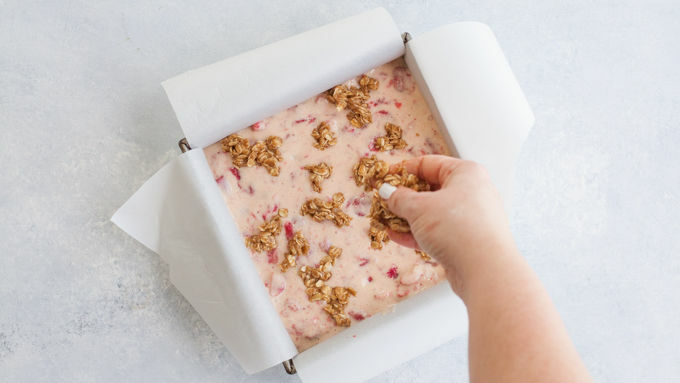 For easy grab-and-go breakfasts or snacks, wrap each bar in plastic wrap, then stash in the fridge. They’ll keep for up to a week. Not a strawberry fan? You can sub in whatever fruit makes your mouth happy. These would be particularly great with Cascadian Farms™ Organic Frozen Blueberries and a little bit of fresh lemon zest. 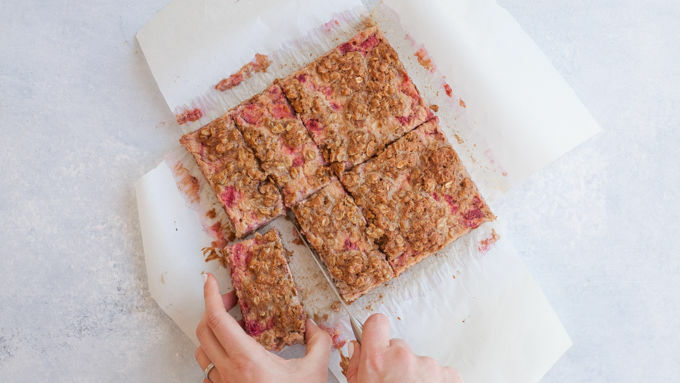 At some point in our collective recent history, breakfast bars became a thing. It probably has something to do with the fact that we’re all super busy and—no matter how much we wish this wasn’t true—coffee just isn’t enough to sustain us through an entire hectic morning. Alas, the quick, handheld, super yummy breakfast bar was born. 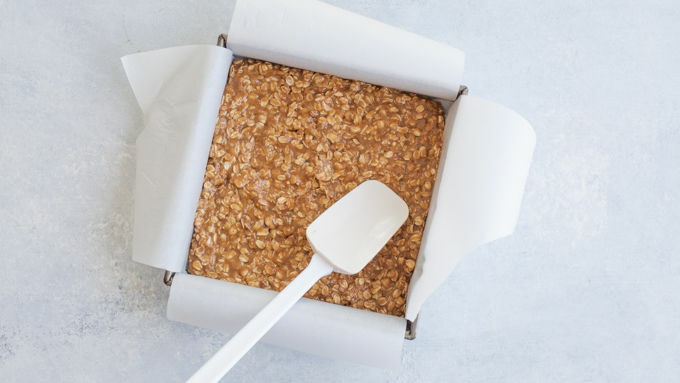 You can hit the cereal aisle of your local grocery store and pick up some premade breakfast bars if you’re really crunched for time—but if you’ve got 45 minutes to spare this weekend, we think you should try making your own. They are fresh, healthy(ish), really filling, way tasty and a lot cheaper than the pre-made ones. These bars are like killing three breakfast birds with one stone. 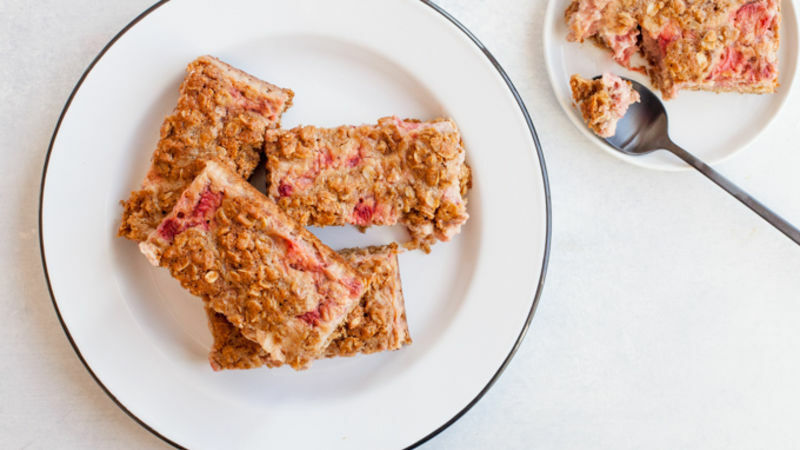 You get a bowl of whole grain oatmeal, a pile of strawberries, and some protein-packed yogurt, all in a handheld bar that you can definitely eat while sitting in traffic on your way to work. Save spoons and bowls and other crazy ideas like that for the weekend. Now is the time for breakfast bars.